In 2016, a number of poker players were redeemed, while others took a tumble. At the World Series of Poker (WSOP), a couple of legends returned to the game, despite not exactly being welcomed back. 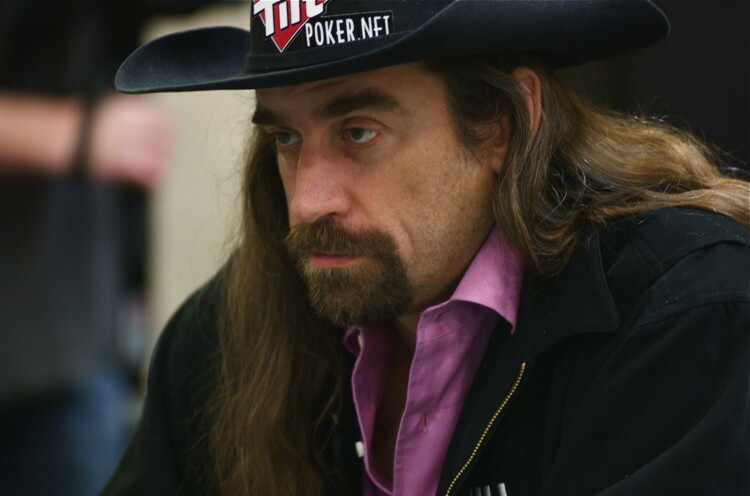 Chris “Jesus” Ferguson and Howard Lederer, both previously beloved pros, had been personas non grata from the poker community since their scandalous roles in Full Tilt’s tumble made them Poker Enemies #1 and 2 after Black Friday in 2011. But that all changed when Lederer sent out a public apology prior to the start of the WSOP this summer. Rumors began swirling that he, along with Ferguson, had plans to enter some World Series events. It turned out that the rumors were accurate. Lederer entered only a few tournaments, but Ferguson played a full schedule, cashing 10 times. The duo returned to poker for the first time in five years, but hardly anyone would consider it a return to glory. After all, few have forgiven the former Full Tilt Poker executives. And they’re not the only ones whose behavior has them on Santa’s naughty list. It’s Not About How Hard You Fall . . .
How one handles adversity says a lot about one’s character. Just ask Joe Reddick from New York. Reddick won a $450 event for $217,792 at the Borgata Winter Poker Open in Atlantic City. But what makes this truly unique is that he learned the game while serving a 15-year sentence in prison for drug trafficking. He’s stayed clean since being released in 2008, and is now a big winner and respected member of the poker community. Gus Hansen, once a fan favorite, had a less inspiring return to online poker. The Great Dane has lost more money online (over $20 million) than anyone in history. He took a long break from internet poker, but made a triumphant return in 2016. He looks a tad more shopworn than he did a few years back, but losing multimillions will do that to you. As inspiring as Reddick’s story is, there were many more poker players who are still learning that you can’t beat the system. Take the story of Ted Forrest, for example. Known as one of the best, if not the best, stud players of all-time, Forrest is now fighting for his freedom. In 2016, the six-time WSOP bracelet winner was arrested on felony charges for allegedly writing bad checks at the Wynn Casino in Las Vegas to the tune of about $250,000 over several years. He has maintained his innocence, but in Nevada, writing bad checks is a felony, so Forrest is looking at the possibility of an actual prison sentence if convicted. In April, Jay Sharon, a New York poker pro, was accused of being the ring leader in an illegal sports betting ring that brought in more than $3.5 million. And Samuel Touil, a once-respected high stakes pro, was outed by Phil “OMGClayAiken” Galfond as an alleged scammer. Galfond claims Touil has refused to pay back the $250,000 he loaned him, even though Touil continues to enter high stakes games. Once a poker player gets on the “can’t be trusted list,” it’s nearly impossible to get off it. The poker pros above will have to work hard to get on our redemption list next year.